SHEMAR MOORE was lookin' good at yesterday's CRIMINAL MINDS 100th Episode Party. The cast, staff, and crew were on hand for the event held at the Quixote Studios, where they were filming. 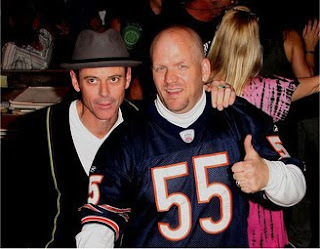 Guest serial killer, C. Thomas Howell who plays The Boston Reaper, is appearing in the 100th episode, and was also there for the festivities. He is pictured with CRIMINAL MINDS Executive Producer, Edward Bernero. From the spoilers that have come out about episode 100, it promises to be one series best. It will air in late November. Many photos from the party are posted on the SHEMAR MOORE'S PARADISE Message Board, along with the newest spoiler photos from the Gavin Rossdale episode of CRIMINAL MINDS. Coming November 11. Rossdale plays Dante, a goth rocker who may have committed a series of brutal murders. 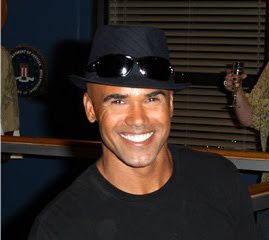 For all of the latest SHEMAR MOORE/CRIMINAL MINDS news, visit us at www.shemarsparadise.yuku.com/.